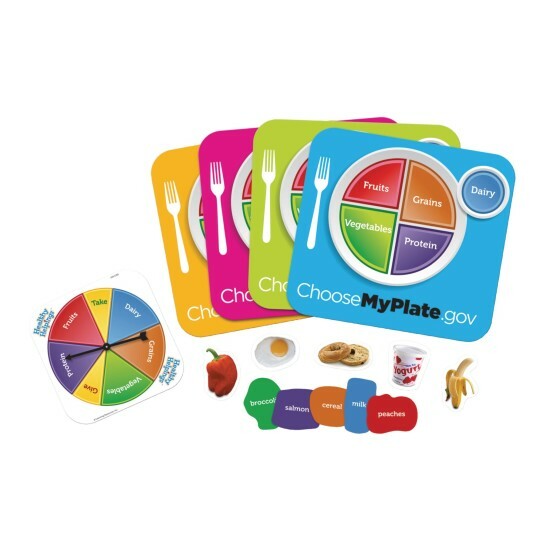 Be the first to fill your plate with a balanced meal that follows the USDA's MyPlate guidelines. Food cards with real life photos are self-checking, backs match food groups. 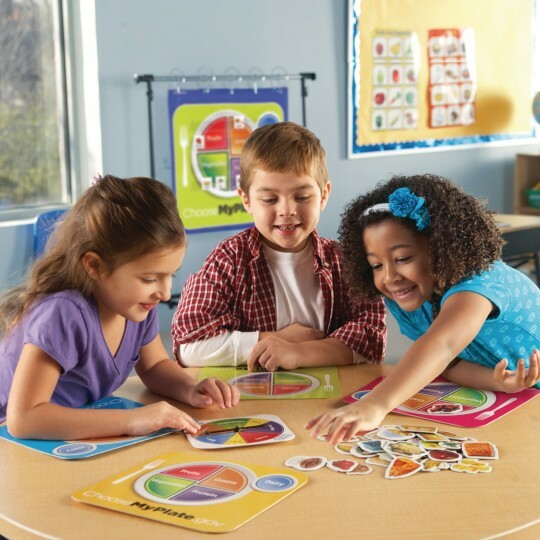 Includes activity guide, 50 food cards, spinner and 4 placemats that measure 9"L x 8-1/2"H. For 2 to 4 players, grades PreK and up.